In fascinating detail, Charles J. Dunn describes how each class lived: their food, clothing, and houses; their beliefs and their fears. At the same time, he takes account of certain important groups that fell outside the formal class structure, such as the courtiers in the emperor's palace at Kyoto, the Shinto and Buddhist priests, and the other extreme, the actors and the outcasts. He concludes with a lively account of everyday life in the capital city of Edo, the present-day Tokyo. 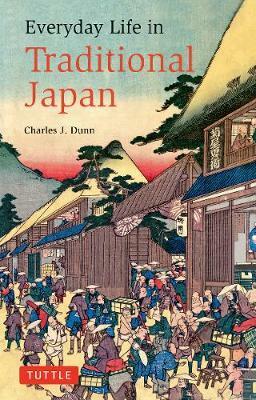 Charles J. Dunn was the Reader in Japanese at the School of Oriental and African Studies, University of London. He lived and traveled extensively in Japan.